LAST Tuesday's monthly breakfast saw a presentation from Gary White, the chief planner of the Department of Planning and Environment. 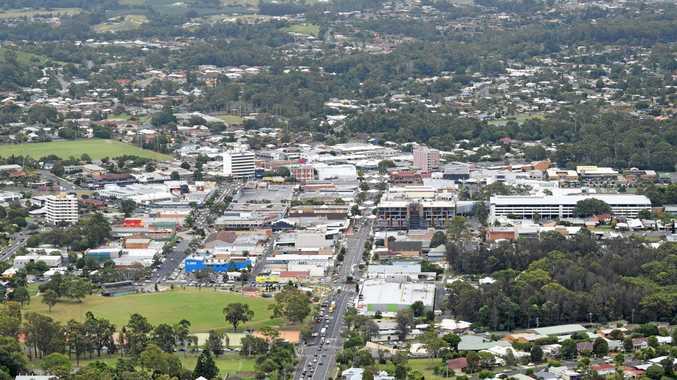 As we all know, a lot is happening around the Coffs Coast and here at the Coffs Chamber we certainly have the feeling that we are on the cusp of something big. For years there has been some thought that we perhaps lag behind our neighbors to the north and south, but with a greater level of interest from both the government and private sector in recent years, this could all be about to change. The biggest question then is, how to do we manage this change, not only to achieve a desired result but to also ensure we maintain the pristine environment and surroundings that we all love so much. 1. Megatrends - influences of change. 3. The local planning framework. Porous Boundaries - Technology and globalisation are changing global relationships. This of course requires a high level of strategic planning to achieve a desired outcome and the NSW Government has released a regional growth plan for all of the state. These outline the vision and goals for the region and in particular covers things like land use strategy and transport models (the bypass) and this will hopefully unearth a big picture goal that shapes and defines the Coffs Coast through strong and prolonged focus of investment, this is where it gets interesting. The delivery of the Regional City Action Plan will be achieved through the collaboration of various stakeholders. The significance of council's planning strategies must be recognised as they play a key role in complementing the strategic planning framework with opportunities provided by megatrends and big picture goals. There is no doubt this is no simple task to come up with a plan that reflects core community values and understands the whole area, and the chamber believes that it is vitally important that the various city influencers all act as one, to bring together their ideas so that we can maximise the benefit of any such plan. This is all about the future of the Coffs Coast, so it is vital we get it right. The business community needs to consider the future and let us know where it wants to go from here?